Occupy's Strike Debt campaign plans to keep the debts "out of the hands of debt collectors" by buying them "for pennies on the dollar" then forgiving them. 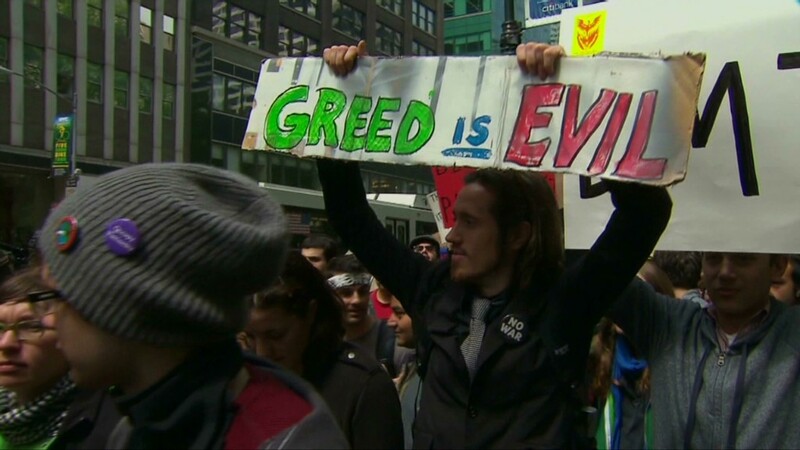 Occupy Wall Street, the protest movement launched to fight corporate greed and corruption, is now buying up peoples' debts and forgiving them. 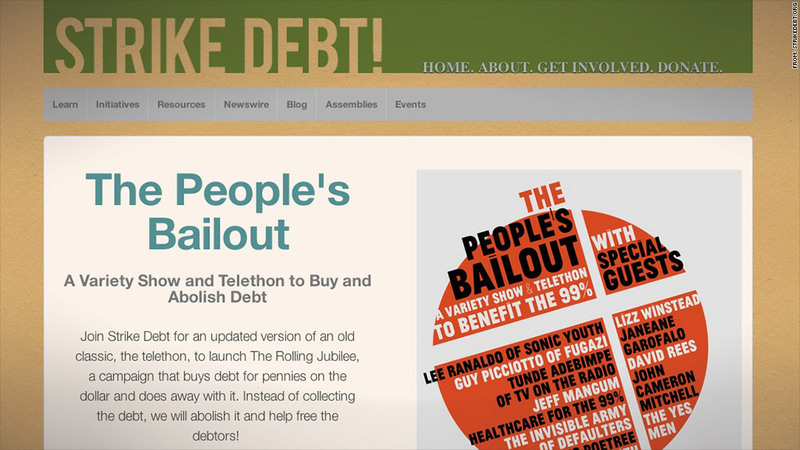 Its new initiative, called Rolling Jubilee, is being spearheaded by Occupy's Strike Debt team to protest a "predatory" lending system, according to its website. The group will hold a telethon and variety show called "The People's Bailout" in New York on Nov. 15 to raise money for the cause, and the proceeds will be used to buy defaulted debts -- such as unpaid student loans and medical bills -- and erase them. "The basic premise is simple: people shouldn't have to go into debt for an education, because they need medical care, or because they have to put food on the table during hard times," Occupy's website says. When a bank, lender or other company deems that it is unable to collect on a debt, it typically sells it to debt buyers or debt collectors -- often at a much lower price than the original amount owed since the odds of collecting the money are low. Whoever buys the debt then attempts to get the money from the debtor themselves. The Strike Debt campaign plans to keep the debts "out of the hands of debt collectors," by buying them "for pennies on the dollar." Then, instead of trying to collect the money owed, they're forgiving the debts. "This is a simple, powerful way to help folks in need -- to free them from heavy debt loads so they can focus on being productive, happy and healthy," one of the initiative's organizers, David Rees, wrote in his blog. He said they would start out by buying debt in communities hit hardest by the recession. A Strike Debt organizer says that they have raised enough to abolish $500,000 in debt. Tickets to the fundraising show on Nov. 15 range from $25 (which it says abolishes an estimated $500 worth of debt) to $250 (which erases $5,000 of debt).